Observe how reactants and products interact in reversible reactions. The amounts of each substance can be manipulated, as well as the pressure on the chamber. 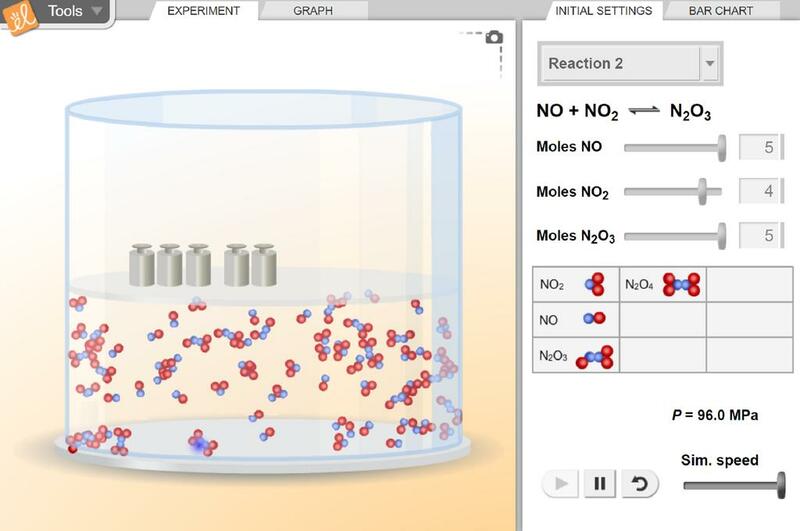 This lesson focuses on partial pressures, Dalton's law, and Le Chatelier's principle.